Human and animal bodies displayed in plastic coating. The exhibition “Real Bodies”, showing intimate details of the human body and its organs, has proved such a success that it will no longer close – as programmed – at the end of January, but will remain open for at least another month, say the organisers. The exhibition offers 50 entire human bodies, 450 human organs, and even humanoid robots. It is divided into several sections: comparative anatomy, showing similarities and differences between humans and animals; biomechanics, or the effect on our bodies of extreme stress; the effect on our body of drug or tobacco dependency; the conservation of bodies in deep freeze, and more. Particularly relevant to Milan is a new section dedicated to Leonardo da Vinci’s anatomical drawings, recreated in three dimensions. 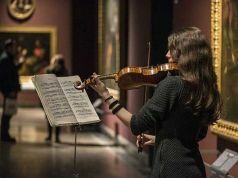 Visits by 128,000 individuals and 1,200 school classes of every level, and a score of 99 per cent satisfaction on the visitor questionnaire, have convinced the organisers, Venice Exhibition Srl, that there are still many who would want to take advantage of the extended opening. In particular, they note, there have been “only” 37 cases of visitors fainting – mostly males between 20 and 30 years old – since the exhibition opened in October 2018. This was one third as many as those who fainted during the previous opening two years ago. Visitors were particularly interested in the section explaining the disposal of human bodies after death: deep-freezing, the transformation of human ashes into diamonds, or the burial in biodegradable urns in which a tree can be planted. The exhibit is open Wednesday to Sunday from 10.00 to 19.00 in Via Giovanni Privata Ventura 15, a 10-minute walk from Lambrate M2 station. Entry costs €18, with several categories of concessions. Tickets are also available on the detailed event website.